Jerri’s SANE Story: Down 29 Inches in 3 Months! I realized that I needed to make a change in my life after gaining 20 lbs from an arm injury. The injury rendered me inactive and I just didn’t feel good. I was fortunate enough to be able to quit my job and focus on healing and my health in general. Since I joined SANE, I am feeling better, and, after measuring in 15 different locations, I have lost 29 inches! My sugar cravings are almost completely gone. I didn’t think the day would ever come when I didn’t want sweets. And when I do have something sweet, it’s in a much smaller quantity and is very satisfying. SANE is different from anything else that I have tried in the past in that it includes technology which I have learned to use. Also I am not struggling with the program; I am much calmer. The advice that I would offer someone who is just starting out on their SANE journey is to go through all of the steps, consume as much information as you possibly can, and really listen to what is being said. I have lost 34 pounds since God sent Jonathan Bailor into my life. He has taught me so much and I am passing my knowledge about SANE on to my friends who are also fighting the battle of the bulge. To stay SANE, I have learned to make wiser choices in the foods that I eat. I enjoy delicious green smoothies in order to ensure that I am eating enough vegetables. And I’m using erythritol in my SANE baked goods, and Chia and Flax seeds for my fats. I feel like I am finally equipped to handle my weight issue. I have received so many compliments about my weight loss; even my husband has noticed! And my doctor is so pleased with my progress because my blood pressure has gone down. I feel so much better. Thanks to Jonathan Bailor, I am finally equipped to sanely conquer this Goliath of obesity once and for all in my life! I’ve completed nearly 70 orbits on this planet, and I have struggled with my weight for most of them. Yet, in spite of my weight, I’ve led an fairly active life; hiking, kayaking, camping, flying airplanes, riding horses, and motorcycles: Pastimes that are more suited to an individual carrying a lot less “adipose tissue” than I do. However about five years ago, it all got real when my doctor diagnosed me with; high blood pressure, elevated cholesterol, and then told me I was pre-diabetic. He put me on eight different meds, including metformin, which I’m still taking. But I have lost weight. In fact, I’ve been losing the same hundred pounds over and over again since I was about 19 years-old. Unfortunately, I was never “disciplined enough” to keep the weight off for any extended period of time. That was an eye-opener for this old guy. What had I been doing all these years? Yoyo dieting? Certainly. But it was when I learned that it wasn’t how much I was eating but what, that the proverbial light went on and I started to make a significant change in my lifestyle. That was in the spring of 2018 and since then I’ve lost about 25 pounds, which makes it a lot easier on my knees and ankles to hike and ride my bicycle, adding even more value to my newly found “fitness” lifestyle. So I’m on my way, and without having to starve myself. I still want to improve my lab results, and with any luck, I’ll keep my weight below 200 pounds and be able to ride horses again for the rest of my life! After purchasing a piece of exercise equipment only to watch it sit unused in the room, I realized that I needed to try something different and chose to use the SANE approach. My life is better since discovering SANE; I have more energy and am generally feeling better. Also, SANE eating has had a positive impact on my family’s eating. SANE is different from anything else that I have tried in the past in that although the results take longer than traditional methods, I can achieve long term results, am eating more food and exercising less. The number one piece of advice I would give someone who is just starting on their SANE journey is to learn to love your vegetables. ~ Patricia B.
I realized that I needed to make a change in my life as I approached my 60th birthday; I wanted to stop feeling like I was 70. Since discovering SANE, my life has improved; I sleep better, move easier, and I have a feeling of accomplishment because I have taken charge of my health. SANE is different from anything that I have tried in the past because it is derived from Jonathan’s research which is based on science. I enjoy double digit servings of vegetables and I love the “what’s in your fridge” search area in the recipe section. The number one piece of advice that I would offer to someone who is just starting on their SANE journey would be take baby steps and try not to get overwhelmed by all of the information; learn something and then try it out in your life. I realized that I needed to make a change at the end of 2018 when I started looking more intently at making health changes and I wanted something with practical and long term results. Three significant ways that my life is better since discovering SANE is that I have lost 6.5 pounds making my clothes fit better, I feel better about eating healthy with fewer cravings and I feel that I am successfully moving in the right direction. SANE is different from anything else that I have tried in the past in that I can get full on veggies and I no longer feel deprived or guilty, nor do I have strong cravings. The number one piece of advice that I would give someone who is just starting out on their SANE journey is to stick with it because it works, especially when you work it. Trust the process. ~ Sandy H.
Kathryn’s SANE Story: Feeling Better and Seeing Results with SANE Nutraceuticals! After trying different diets but continuing to gain weight, I knew something was off kilter, and that was my turning point. I did some research on SANE nutraceuticals and am so grateful that I was able to try them after getting my doctor’s approval. I feel so much better since I have been taking SANE nutraceuticals. For the first time in my life, I have been able to lose weight and keep it off rather than bouncing up and down. I feel like it has stabilized something that was missing. They are different from anything else that I have tried in that they address the root cause of the problem. The number one piece of advice that I would give to someone who is just embarking on their SANE journey is to take their nutraceuticals regularly, as recommended. They will work for you too. 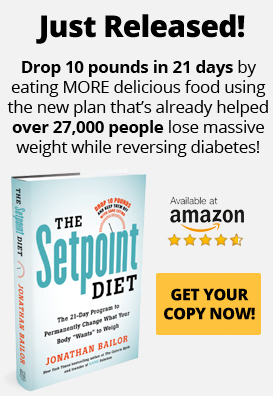 The “tipping point” that compelled me to make a change in my life came after watching Jonathan’s webinar and learning his approach to weight loss; it was a different approach with different results. Before that, my weight had continued to creep up and nothing else I tried stopped it. My life is better since discovering SANE because I have more energy and feel better knowing that I’m doing something good for my body and my health. My waist size has decreased and I am able to wear clothing that I couldn’t previously fit into. And my total cholesterol is down to an all-time low! SANE is different from anything else that I have tried in the past in that the level of support is higher than anything I have ever had. The program has provided me with a new mindset including no calorie counting. I also enjoy the emailed meal plans and the option of purchasing SANE store products. The number one piece of advice that I would offer someone who is just beginning their SANE journey is to be open to trying something different, to take advice from coaches, and to realize that SANE is a lifelong process and not an overnight quick-fix. ~ Beverly H.
Pete’s SANE Story: Enjoying Retirement with 66 Pounds Gone! I have diabetes so I decided to make a change in my life and join SANE. Since then, I have lost 30kg! SANE is different from other diets that I have tried because all meals include normal food. My life is better since discovering SANE because I am not dieting, I’m eating normal food, and I’m eating three meals a day plus snacks! The number one piece of advice I would give to someone just starting out on their SANE journey is to keep trying to slowly lose weight. If you go off the rails, start again and keep trying until you reach your goal weight.